Written by Dr. David Tamisiea from St. Philip Institute. It is a nice introduction to the Fathers of the Church – the guys that made me Catholic. For the whole article, click here. 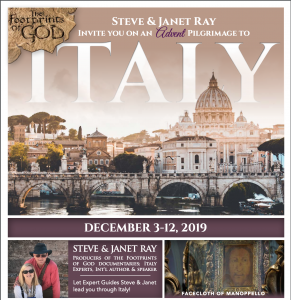 The terms “Fathers of the Church,” “Church Fathers,” “early Church Fathers,” or simply “the Fathers,” are used by Catholics and other Christians to refer to the outstanding teachers of the Christian faith from antiquity. The underlying idea behind calling these men “Fathers” is that a teacher of the Christian faith is a spiritual father who helps give spiritual birth to those who receive his teaching. 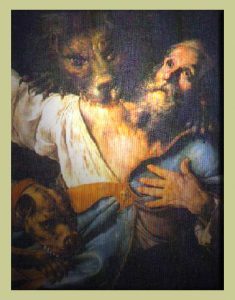 St. Paul, for example, claims to be a spiritual father to those who receive the Gospel through his ministry: “I do not write this to make you ashamed, but to admonish you as my beloved children. For though you have countless guides in Christ, you do not have many fathers. For I became your father in Christ Jesus through the Gospel” (1 Cor 4:14–15). St. Irenaeus (c. 125 – 202 ad), a Church Father himself, explains the idea of spiritual fatherhood in his famous work Against the Heresies: “For when any person has been taught from the mouth of another, he is termed the son of him who instructs him, and the latter [is called] his father” (IV, 41, 2). There are literally hundreds of Church Fathers whose writings could easily fill up an entire library all by themselves. The Fathers are generally divided into two major groups: The Greek or Eastern Church Fathers, and the Latin or Western Church Fathers. The Greek or Eastern Church Fathers are those outstanding Christian authors who lived in the Eastern part of the ancient Christian world. Most of these men wrote in Greek, although there are some Eastern Fathers who wrote in Syriac, in Coptic, or in Armenian. The most significant Eastern Fathers are St. Irenaeus, St. Clement of Alexandria, St. Athanasius, St. John Chrysostom, and the three Cappadocian Fathers, St. Basil the Great, St. Gregory Nazianzen, and St. Gregory of Nyssa. The Latin or Western Church Fathers are those Fathers found in the Western part of the ancient Christian world, all of whom wrote in Latin. 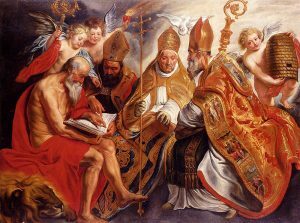 The most important Western Fathers include St. Ambrose, St. Augustine, St. Jerome, and St. Gregory the Great. Most of the Church Fathers are bishops (e.g., St. Augustine, St. John Chrysostom), but there are also a few popes (e.g., St. Clement of Rome, St. Leo the Great, St. Gregory the Great), some priests (e.g., St. Jerome), some deacons (e.g., St. Ephrem the Syrian), and even a few laymen (e.g., St. Justin Martyr). 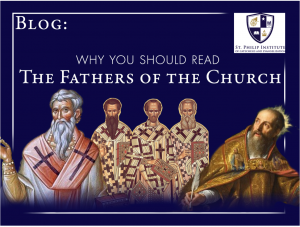 There are three really good reasons for why you should read the Church Fathers. First, there is tremendous value in reading works written by authors who lived at a time and in a place other than our own. The great Christian author C.S. Lewis, in his introduction to the Church Father St. Athanasius’ great work, On the Incarnation, recommends that everyone regularly read some of “the old books” to balance the reading of modern works. As Lewis explains, every age is especially good at seeing certain truths, and each has its characteristic blindness that prevents it from seeing its own errors and faults. “The only palliative,” he says, “is to keep the clean sea breeze of the centuries blowing through our minds, and this can be done only by reading old books.” When we read “the old books,” we can receive the knowledge and wisdom of earlier ages that enable us both to grasp forgotten truths and better recognize the errors of our time. Lewis suggests that a good rule of thumb is that, after reading a contemporary book, never allow yourself to read another one until you have read an “old book” in between. But this rule about reading “the old books” extends beyond the Church Fathers to all the great books of earlier ages. So why read the Church Fathers in particular? The second and more specific, reason you should read the Church Fathers is to become better equipped to defend your Catholic faith from its detractors. As Catholics, we have a serious obligation to know our faith, to share it with others, and, when necessary, to defend it against distortions, misrepresentations, and other forms of attack: “Always be prepared to make a defense to anyone who calls you to account for the hope that is in you” (1 Pet 3:15). Do you want to show a friend that the Catholic Mass is in essence the very same form of worship practiced by the early Christians? Read and then share with your friend St. Justin Martyr’s account in his First Apologia (c. 155 ad) sent to the Roman Emperor Antoninus Pius, explaining how Christians actually worship by celebrating the Mass (I, 65–67). 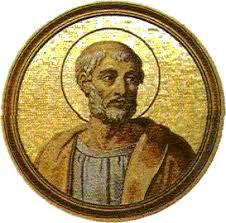 What if someone objects to the Catholic doctrine on the papacy as a post-Constantinian perversion? Read and then share with the person St. Clement of Rome’s First Letter to the Corinthians (c. 92 – 101 ad), where St. Clement, as Bishop of Rome and the fourth pope, in the first century answers an appeal by the Church of Corinth to intervene in a dispute there over whether laymen can take the place of the priests in celebrating the Eucharist (Note: he says no). If that does not convince, then read and share St. Irenaeus of Lyons’ work Against the Heresies, where he stresses that Christian orthodoxy depends upon union with the Church of Rome, “It is a matter of necessity that every Church should agree with this Church, on account of its preeminent authority” (III. 3). What about someone who claims the Catholic belief in the real presence of Christ in the Eucharist is just a medieval creation? First read and then share with that person St. Ignatius of Antioch’s Letter to the Philadelphians (c. 117 ad), where he writes to an early Christian community on his journey toward martyrdom in Rome, “Take care, therefore, to participate in one Eucharist, for there is one flesh of our Lord Jesus Christ, and one cup that leads to unity through his blood” (No. 4), or again share St. Justin Martyr’s First Apology where he explains to the Roman Emperor the Christian belief in the real presence of Christ in the Eucharist, “This food is called among us the Eucharist. … For not as common bread and common drink do we receive these; but in like manner as Jesus Christ our Savior, having been made flesh by the Word of God, had both flesh and blood for our salvation, so likewise have we been taught that the food which is blessed by the prayer of His word, and from which our blood and flesh by transmutation are nourished, is the flesh and blood of that Jesus who was made flesh” (I, 66). While it is true that Catholic doctrines on the papacy, Eucharist, devotion to the Blessed Virgin Mary and the saints, Sacred Tradition, infant Baptism, the necessity of faith and works, and the like, are not found in the full developed form of later ages, the essential elements of each of these is present from the very beginning, just awaiting the Church’s deeper insight, fuller understanding, and further development. As Bl. 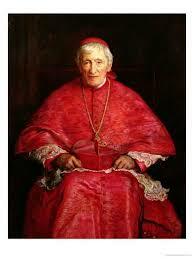 John Henry Newman observes in his masterful work, An Essay on the Development of Christian Doctrine, just as a seed grows into a full-grown tree and a child into a man over time, and yet each remains essentially the same thing, so too authentic Christian doctrines grow and develop over the centuries while preserving their original type or essence. Indeed, for Newman, it was reading the Fathers that led to his conversion to Catholicism from Anglicanism: “I am not ashamed still to take my stand upon the Fathers, and do not mean to budge. … The Fathers made me a Catholic” (Difficulties Felt by Anglicans in Catholic Teaching, pp 357, 376). The third reason for reading the Church Fathers is probably the most important of all: to deepen and enrich your faith. The Church Fathers, together with the Apostles, are rightly considered the “Founding Fathers” of the Church, who helped to lay the foundations of Christianity at the very beginning by teaching, explaining, defending, and spreading the saving truths of the Gospel. I recall when I began in earnest to read the Church Fathers in graduate school, it was as if a whole new world was being opened up to me: the same will hold true for you as well. By reading the Fathers, you will most certainly become a much better informed, knowledgeable, and faithful Catholic. St. John Paul II explains why the Church Fathers are so important to the faith of the Church: “The Church still lives today by the life received from her Fathers and on the foundation erected by her first builders she is still being built today in the joy and sorrow of her journeying and daily toil. … Guided by these certainties, the Church never tires of returning to their writings – full of wisdom and incapable of growing old – and of constantly renewing their memory” (Patres Ecclesiae 1). Who Chose the Books of the Bible? Are the Books “Self-authenticating”? Dear Protestant: Where Did You Get Your Bible?